This scheme is for a full PhD programme only. 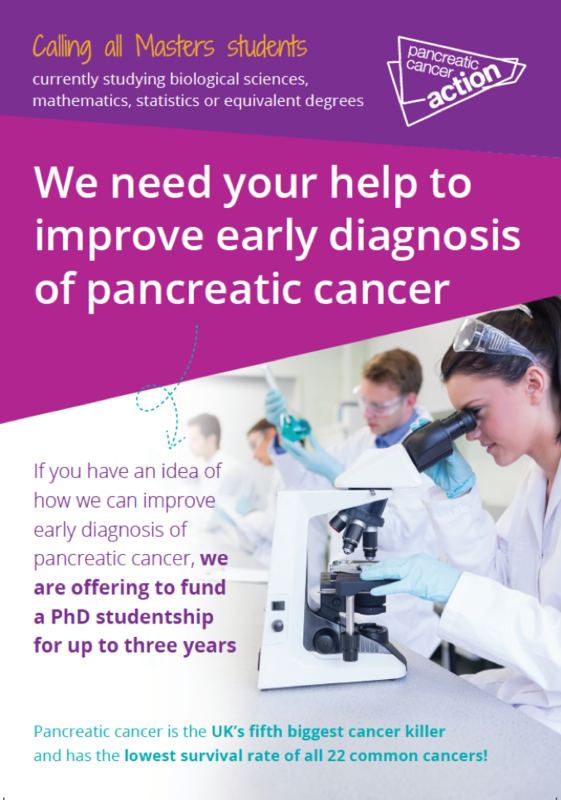 Pancreatic Cancer Action will not cover funding gaps for students who have already started their studies. Are you currently studying for a masters degree in biological sciences, mathematics, statistics or equivalent degrees? Are you interested in helping to improve early diagnosis for the UK’s 5th biggest cancer killer? Ask the supervisor(s) to apply directly to Pancreatic Cancer Action on your behalf. Your idea must be innovative, unique and focus exclusively on improving early diagnosis of pancreatic cancer.